Home to the National D-Day Memorial, Avenel Plantation, the Elks National Home and several other historic buildings and landmarks, Bedford is a town with deep roots and rich traditions. Like many historic towns, some buildings of yore have fallen into disuse with the passage of time. 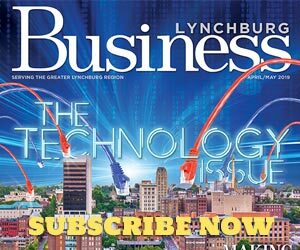 Some of them, however, get a second chance to thrive; such is the case with the historic Bedford Coal and Ice building on Grove Street, which is now the home of Liberty Landscape Supply. Liberty Landscape Supply sells mulch and stone, but it doesn’t stop there. In addition to its unique housing, the business boasts nearly a mile of walking trails that allow visitors to see how different plant species work together before deciding what to buy for their own homes. “We had discussed selling plants from the beginning,” Perrow says. “We also knew that we wanted to set up our nursery in a way that would really make for a great experience every time you visited Liberty Landscape Supply. When the adjoining pieces of property became available this past winter, we hit the ground running. Working with Landscape Architect David Bennett, we came up with the series of walking paths, bridges, gazebo and pond area that would showcase our plant displays.” Onsite work began this February, and the business was selling plants by mid-April. 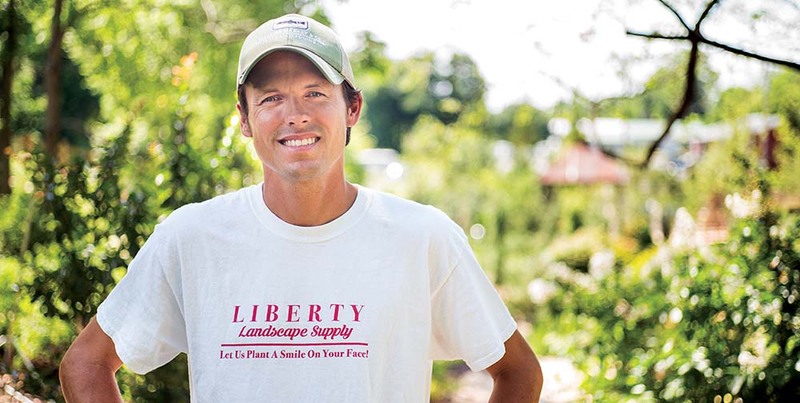 Although Liberty Landscape Supply prides itself on the variety and quality of their material offerings, Perrow said he believes that making these local connections and offering top-notch advice is what truly makes the business stand out. For more information visit www.libertylandscapingva.com.